What counts as drag racing in Virginia and what charges will I face if I get arrested for racing? In Virginia, racing is covered by VA Code Section 46.2-865: Any person who engages in a race between two or more motor vehicles on the highways in the Commonwealth or on any driveway or premises of a church, school, recreational facility, or business property open to the public in the Commonwealth shall be guilty of reckless driving, unless authorized by the owner of the property or his agent. 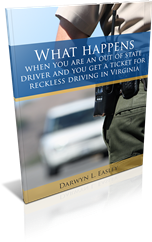 In Virginia, “drag racing” or “racing” is considered a class one misdemeanor reckless driving charge. The law states: When any person is convicted of reckless driving under this section, in addition to any other penalties provided by law, the driver’s license of such person shall be suspended by the court for a period of not less than six months nor more than two years. In addition, you could be sentenced to jail time, have to pay court fees and will receive six demerit points which will remain on your record for 11 years. The above outlines the penalties associated with a misdemeanor charge. However, there are times with racing charges are considered a felony. If anyone is hurt or killed during the course of the drag race, Class 6 felony charges may be applied. If convicted, the driver could be sent to prison for one to five years, though the sentence could be less if the judge or jury decides the sentence should be lighter. If someone is killed during an accident where drag racing was a factor, the sentence is between one to 20 years; with a one year mandatory minimum jail time. 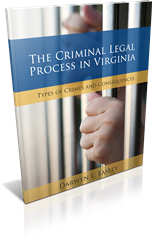 A felony conviction for drag racing in Virginia also means a mandatory driver’s license suspension of between one and three years. On top of this, the car used for the race can be taken by police and sold. It is important to note that in Virginia, drag racing is defined as having a pre-defined start point and pre-defined end point. So technically, two cars speeding next to one another, whether it’s a test of speed or not, is not considered drag racing in Virginia. These cases often rely on witness testimony, as the arresting officer usually won’t have heard the drivers having a discussion before they took off. Because of this it’s very important that you hire a lawyer who’s experienced in reckless driving cases. Call 888-386-3898 right now. Why am I at risk of penalties if I leave the scene of an accident after a crash? If you are involved in a car accident, you may face penalties if you leave the scene without first exchanging important information with the other parties involved in the crash or waiting for law enforcement to arrive. There are important reasons behind this rule that every driver should be familiar with. It is important to note, however, that if you are charged, possible defenses to a charge of leaving the scene of an accident may apply. Consulting with an experienced attorney can help you understand your rights and responsibilities in these cases. To offer help to drivers, passengers, or nearby pedestrians who may be suffering from an injury as a result of the accident. To provide an opportunity for the parties involved in the accident to exchange relevant identification and insurance information. This may include your name, address, telephone number, driver’s license number, insurance carrier, and policy number. To prevent a party from avoiding criminal or civil liability that might arise from the accident by fleeing the scene. 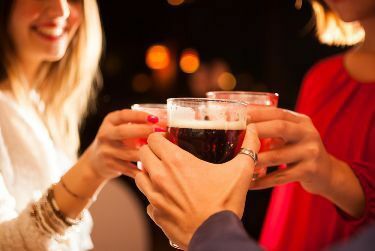 For example, a party in the crash who was driving while under the influence of drugs or alcohol is not permitted to simply leave the scene in order to avoid detection. If you are charged with fleeing the scene of an accident, all hope is not lost. We encourage you to contact us today for help at 888-386-3898. How many innocent people are wrongly convicted each year? Unfortunately, there is no way to know for sure how many innocent people are behind bars at any given time. Many guilty people vehemently proclaim their innocence while those falsely convicted are too scared or powerless to speak up. However, a relatively new joint project between the law schools at the University of Michigan and Northwestern Universty is making progress in gathering and publishing information about exonerations of wrongly-convicted individuals from the last 25 years. Using this data, they draw come conclusions about why people are falsely convicted in the first place. Perjury or False Accusation. A person falsely accuses the defendant of committing the crime either in sworn testimony or otherwise. Official Misconduct. Police or prosecutors significantly abuse their authority or the judicial process in a manner that contributes to a conviction. Mistaken Witness Identification. At least one witness mistakenly identifies the defendant as a person he or she saw commit the crime. False or Misleading Forensic Evidence. The conviction is based at least in part on forensic information that was caused by errors in forensic testing, based on unreliable or unproven methods, or fraudulent. False Confessions. The defendant makes a false statement to authorities which was treated as a confession; the authorities claim that the defendant made such a statement but the defendant denies it; or the defendant makes a statement that is not an admission of guilt, but is misinterpreted as such by the authorities. Regrettably, other factors can also lead to a false conviction depending on the circumstances of your individual case. This is why it is important to build a strong defense, and have someone supporting you throughout the case. Contact us today and see how we can help you avoid a wrongful conviction. Trust us—even if you’re charged with a minor offense, you don’t want to deal with the consequences of a conviction. Contact us now. You’ll be glad you did! Felony or Misdemeanor: What’s the Charge? If the zipper merge works so well, why does it make so many drivers angry? Merging is a constant frustration for drivers. It doesn’t matter if you’re just learning how to drive, or if you’ve been driving for 30 years, successfully merging into a lane of traffic doesn’t just depend on skill—it often depends on the mood of other drivers. Although some drivers will merge without the slightest concern for others, proper merging is a delicate balance of timing, consideration, and the ability to gauge other drivers’ moods. Since merging onto busy highways or through construction zones is a major cause of traffic congestion, the Department of Transportation suggests that late merging, also known as zipper merging, could actually help decrease bottlenecks and improve the flow of traffic when merges are required. Unfortunately, the zipper merge is controversial and can actually cause more harm than good. Although the zipper merge makes sense in theory—motorists utilize both lanes until the on-ramp or lane ends, where they then take turns—in practice, taking turns isn’t as straightforward as it may seem. If you’ve been inching along in the open lane for a long time and the car next to you stayed in the closing lane to bypass traffic, why should you let him in? This resentment often results in a complete lack of cooperation at the merge point, causing further back-ups and the potential for collisions. Increased understanding of the benefits of the zipper merge and further cooperation among drivers could go a long way towards easing the frustrating, time-consuming, and energy-wasting effects of major traffic back-ups. For more information on zipper merging, traffic accidents, and driving rights and responsibilities, feel free to browse our site for more articles, or contact us directly for a free consultation. We’re here to answer your questions and help you make sense of the law. Call now!